Depending on the concentrations, the inhalation of chlorine can cause conditions of various severity such as acute respiratory distress syndrome (ARDS),1 reactive airway dysfunction syndrome (RADS),2 or low dose irritant-induced asthma (LDIIA).3 Mice models of chlorine exposure have used high levels of chlorine ranging from 400 to 800ppm for 5–30min. The chlorine exposure was performed by diluting Cl2 gas in a chamber using a nose-only exposure chamber or even full-body cylindrical chambers.4,5 In humans although allergen6 or occupational sensitizer7 exposures have been fairly well standardized, few chlorine exposure methods have been reported: (1) painting a dilution of sodium hypochlorite onto a cardboard8; (2) Dilution of chlorine gas with humidified medical grade air in a mixing chamber to the concentration of 0.4 and 1ppm9; (3) nebulization of 30ml of commercial bleach (5% sodium hypochlorite) to reach a chlorine concentration of 0.4ppm.10 However, the reliability, accuracy and safety of these chlorine inhalation methods have not been reported, which probably has prevented further performance of chlorine challenges. The aim of this study was to describe a closed-circuit apparatus designed to expose humans to chlorine gas in a safe manner. The chlorine-generating closed-circuit inhalation challenge apparatus has four main components (Fig. 1): (1) a chlorine generation system; (2) an exposure chamber with a pressure control system; (3) a monitoring device; and (4) a delivery device. Chlorine is generated in a gaseous form by a portable electrochemical gas generator CAL 2000 LT (Advanced Calibration Designs, Inc., Tucson, Arizona, USA), able to deliver a concentration up to 50ppm at 0.5L/min. This type of generator is versatile, has a very stable gas output that can be adjusted to different outlet concentrations and is available for a multitude of products; hydrogen sulfide, hydrogen cyanide or chlorine dioxide. The 0.5L/min chlorine gas mixture produced by this generator was mixed with a fresh-air airflow at the inlet of an exposure chamber. This airflow needed to be adjusted at 20L/min in order to allow the production of the targeted 1ppm concentration of chlorine in the chamber. The value of this airflow was roughly established by mass balance calculation and was finely tuned through experimentations. The exposure chamber consisted of a vertical stainless steel cylinder (size=15cm diameter×0.5m long); an exhaust pump is connected to the outlet of this exposure chamber through an electro pneumatic proportional valve VEF (SMC Inc.). The opening of this valve is controlled by an automated regulation system in order to keep the pressure in the exposure chamber slightly under the ambient pressure in order to avoid the contamination of the surroundings. At equilibrium, the airflow coming in the chamber is almost the same as the one exiting it. Components of the closed-circuit apparatus. Three opening ports were located at mid-length of the exposure chamber. One port was connected to a MultiRAE monitor (RAE Systems by Honeywell, San Jose, CA, USA) equipped internally with a sampling pump that continuously monitored chlorine concentrations. Another port was connected to a piezo-resistive pressure sensor, which continuously monitored the pressure in the chamber. This sensor sends a signal to the automated regulating system that controls the opening of the outlet valve. When the subjects breathed from the exposure chamber, they reduced the pressure in the chamber. Automatically, this lower pressure is sensed by the regulating system that reacts by closing the outlet valve in order to maintain the pressure in the chamber around its set point (slightly negative, −0.2cmH2O). The last port allows the inhalation of the chlorine mixture through a mouthpiece by a system of unidirectional valves. Expired air by the subject is evacuated out of the laboratory through a venting system. The delivered concentrations of chlorine gas were continuously monitored and recorded. The chlorine inhalation challenge was tested in four healthy subjects with normal respiratory function and normal airway responsiveness who were exposed to 1ppm of chlorine gas for 15min. This level of exposure corresponds to the threshold limit value-short-term exposure level in Canada. A stabilized chlorine concentration of 1ppm was reached after 1h. The study was approved by the Research Ethics Committee of Sacré-Coeur Hospital and all subjects signed an informed consent form. The mean chlorine concentration obtained for the four subjects was 1.01±0.034ppm. No subject reported any smell of chlorine or any respiratory symptoms following the chlorine exposure. FEV1 and airway responsiveness did not change after exposure to chlorine. This study is the first to describe a closed-circuit system designed for generating chlorine at low concentrations, delivering highly stable concentrations of chlorine under secure conditions. D’Alessandro et al.9 performed chlorine exposure by diluting chlorine gas with medical air, which has a potential risk of gas leaking. The chlorine closed-circuit system described here has several advantages over the few chlorine exposure methods previously reported. It produces very stable chlorine concentrations without leaking risks and allows a continued monitoring of the chlorine concentrations with great accuracy. The results obtained in the four tested patients showed highly reproducible values with no variability, once the targeted chlorine concentrations were achieved. The main limitation of this apparatus is related to the building of the automated control system that controls the pressure in the chamber and the opening of the outlet valve that might require trained personnel. This may restrict its accessibility to centers with the resources for such purposes. Another limitation relates to the costs of the different commercially available devices used to build the system. However, the same apparatus can be used to generate other types of irritants agents such as ammonia. In conclusion, we describe for the first time the closed-circuit methodology for a safe, accurate and reproducible exposure to chlorine gas. This system will be very useful to investigate the pathophysiology of irritant-induced asthma in humans. Whether test maybe useful in cases of occupational caused by chloramines will need to be investigated in the future. IO is a researcher supported by “ERS and SEPAR, LTRF 2016” and the Societat Catalana de Pneumologia (SOCAP). This study was supported by Fundacio Catalana de Pneumologia (FUCAP). S.M. Brooks, M.A. Weiss, I.L. Bernstein. Reactive airways dysfunction syndrome (RADS). Persistent asthma syndrome after high level irritant exposures. J.-L. Malo, J. L’Archevêque, L. Castellanos, K. Lavoie, H. Ghezzo, K. Maghni. Long-term outcomes of acute irritant-induced asthma. M. Medina-Ramón, J.P. Zock, M. Kogevinas, J. Sunyer, X. Basagaña, J. Schwartz, et al. Short-term respiratory effects of cleaning exposures in female domestic cleaners. S.A. Tuck, D. Ramos-Barbón, H. Campbell, T. McGovern, H. Karmouty-Quintana, J.G. Martin. Time course of airway remodelling after an acute chlorine gas exposure in mice. J.G. Martin, H.R. Campbell, H. Iijima, D. Gautrin, J.-L. Malo, D.H. Eidelman, et al. Chlorine-induced injury to the airways in mice. K.M. Kurtz, R.G. Hamilton, J.A. Schaefer, N.F. Adkinson. A hooded exposure chamber method for semiquantitative latex aeroallergen challenge. O. Vandenplas, H. Suojalehto, T.B. Aasen, X. Baur, P.S. Burge, F. De Blay, et al. 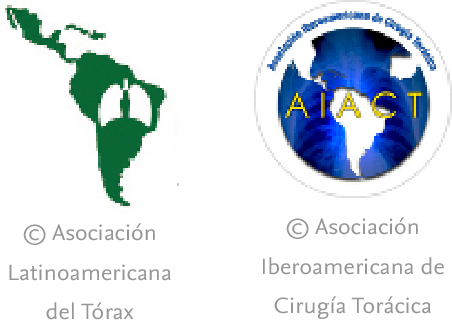 Specific inhalation challenge in the diagnosis of occupational asthma: consensus statement. K.M. Thickett, J.S. McCoach, J.M. Gerber, S. Sadhra, P.S. Burge. Occupational asthma caused by chloramines in indoor swimming-pool air. A. D’Alessandro, W. Kuschner, H. Wong, H.A. Boushey, P.D. Blanc. Exaggerated responses to chlorine inhalation among persons with nonspecific airway hyperreactivity. J. Sastre, M.F. Madero, M. Fernández-Nieto, B. Sastre, V. del Pozo, Potro MG del, et al. Airway response to chlorine inhalation (bleach) among cleaning workers with and without bronchial hyperresponsiveness.